Completely reformulated to reflect important scientific advances, this product contains plant extracts known for their ability to relieve menopause symptoms through effects on oestrogen metabolism and balance. ¤ Chasteberry extract (Vitex agnus castus) has a hormone-balancing effect. 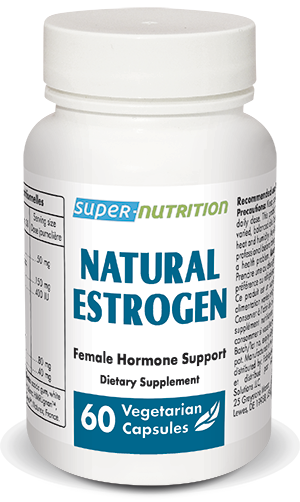 By stimulating the secretion of luteinising hormone, it inhibits the release of follicle-stimulating hormone (FSH) and helps increase progesterone levels by balancing the ratio between oestrogen and progesterone. It is very effective at relieving hot flushes. ¤ Estro G100™ is a proprietary blend of natural extracts of Korean herbs : angelica, Phlomus (sok-dan) (known for its soothing benefits) and Cynanchum (keon-jo-rong), a traditional ingredient for supporting the nervous system and promoting restful sleep. A recent clinical study measured the effects of Estro G100™ on menopause symptoms using the Kupperman index (KMI) which evaluates all the symptoms associated with this stage in a woman's life. A highly significant, 50% improvement was reported. ¤ Lifenol™ is a new hop extract derived from female hop cones which has considerable phyto-oestrogenic potency. Its effects are related to a high, standardised content in prenylflavonoids. Two clinical studies using the Kupperman index have shown it to be highly effective against menopause symptoms, after 6 to 8 weeks' supplementation. ¤ HMR Lignan™ is a Norwegian spruce extract standardised in 7-hydroxymatairesinol. It is an enterolactone precursor which mimics oestrogen levels in flux during the climacteric period. It has also been shown to help prevent breast cancer and osteoporosis. ¤ Vitamin D3 plays a key role in preserving bone metabolism, which is particularly affected by the menopause. Autres ingrédients : Amidon de riz, stéarate de magnésium, maltodextrine. HMRLignan™ , Linnea SA, Suisse. Estro G100™, Sunbio, Corée du Sud. Women over 40. Take one or two vegetarian capsules a day, as required, or as advised by your therapist.